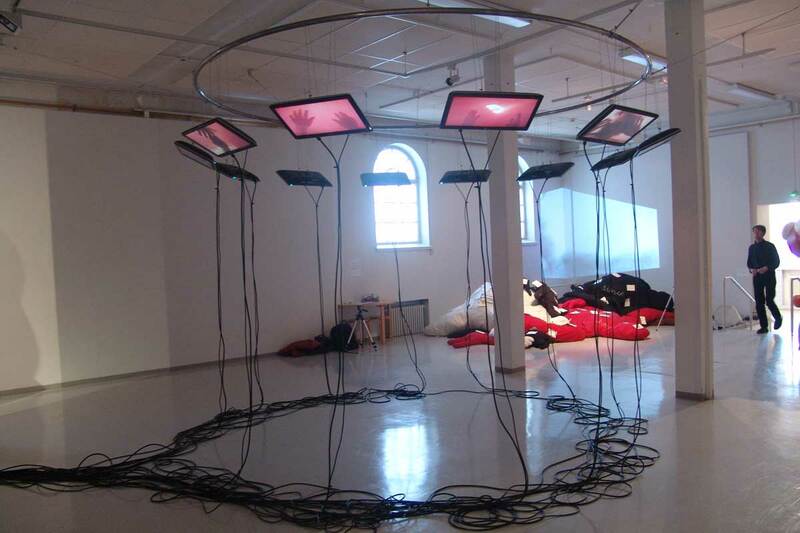 Our exhibition Into the Wide Blue Yonder at Gallery Mältinranta in Tampere, Finland between 5th – 22nd March 2011 was a great success. 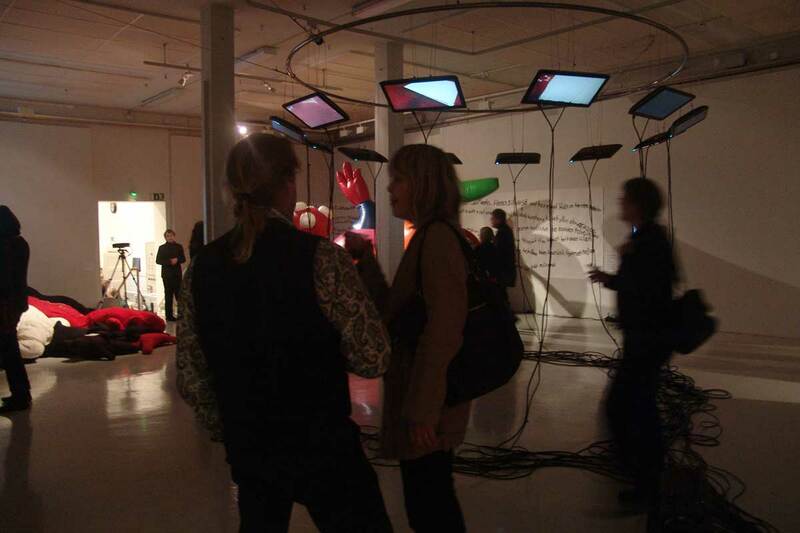 We presented four large works, each quite different to the others. 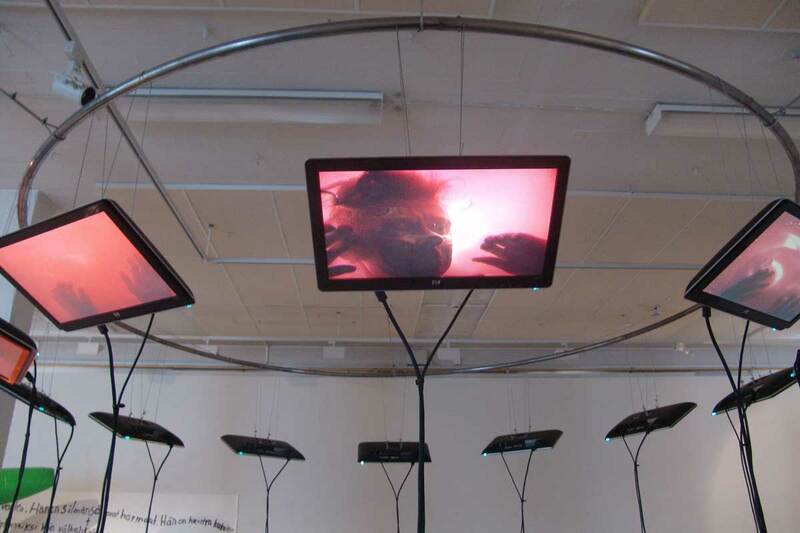 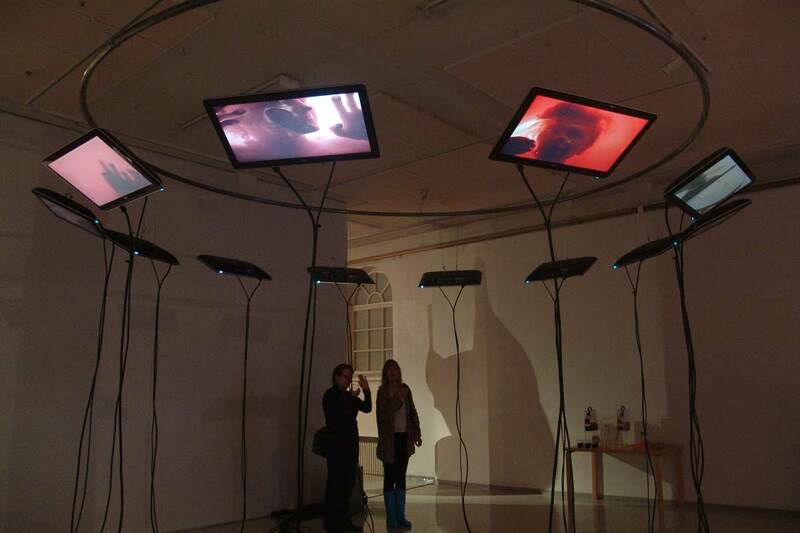 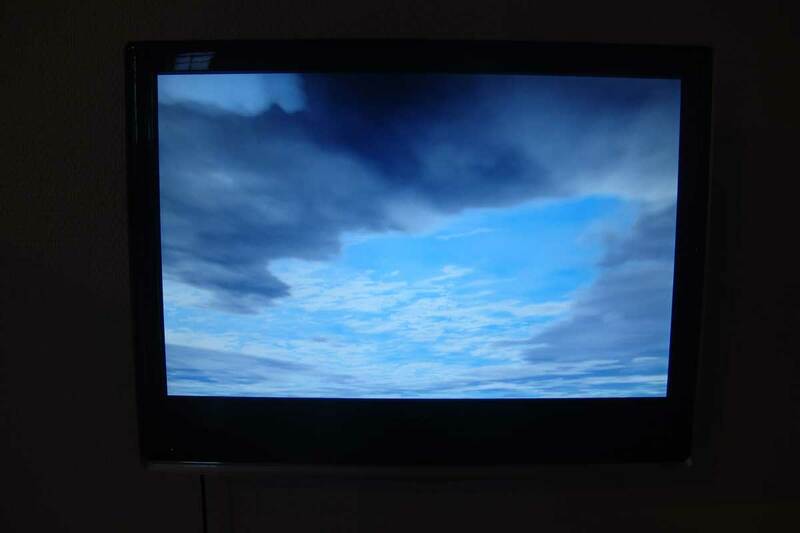 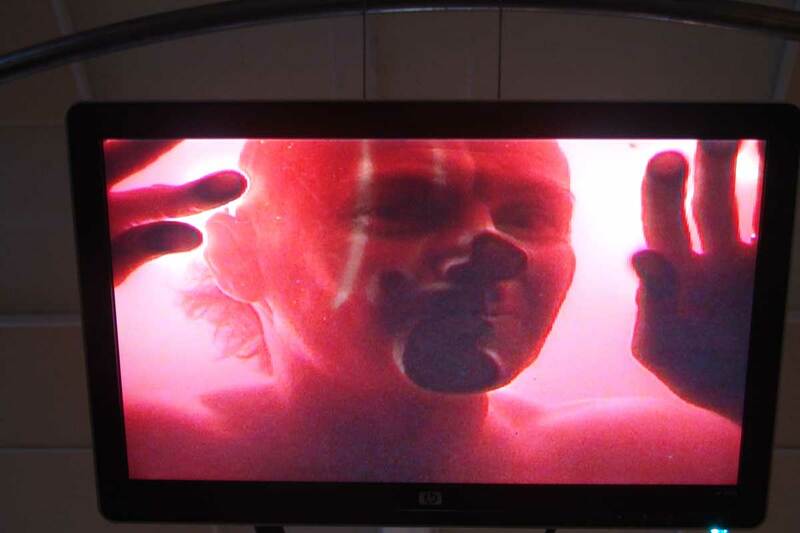 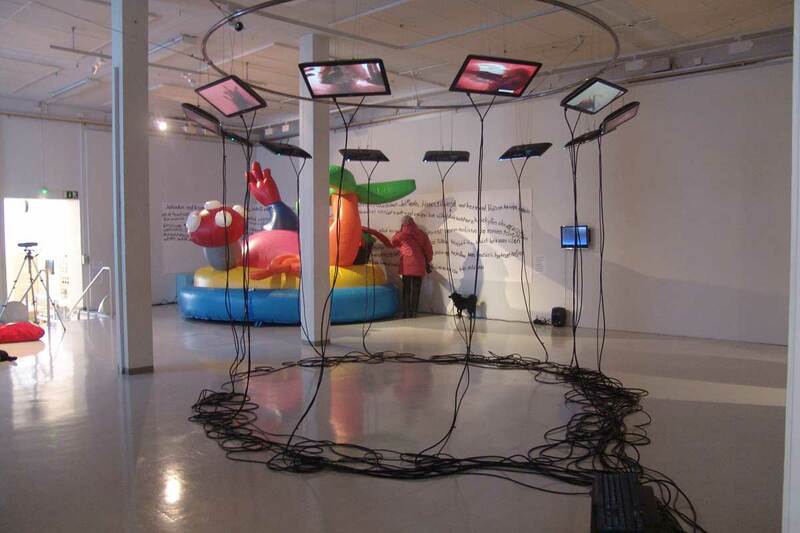 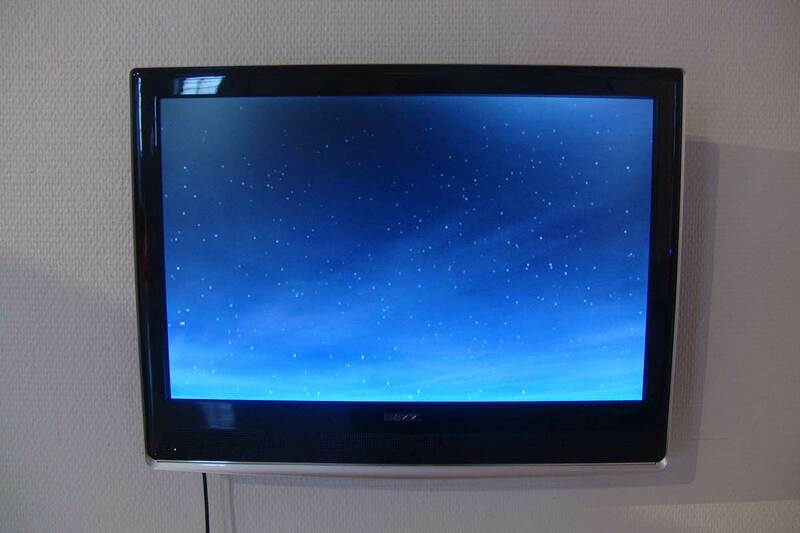 “Bloodbath” (12 channel video sculpture) had been developed so that it now had a round frame which presented the video monitors much better. 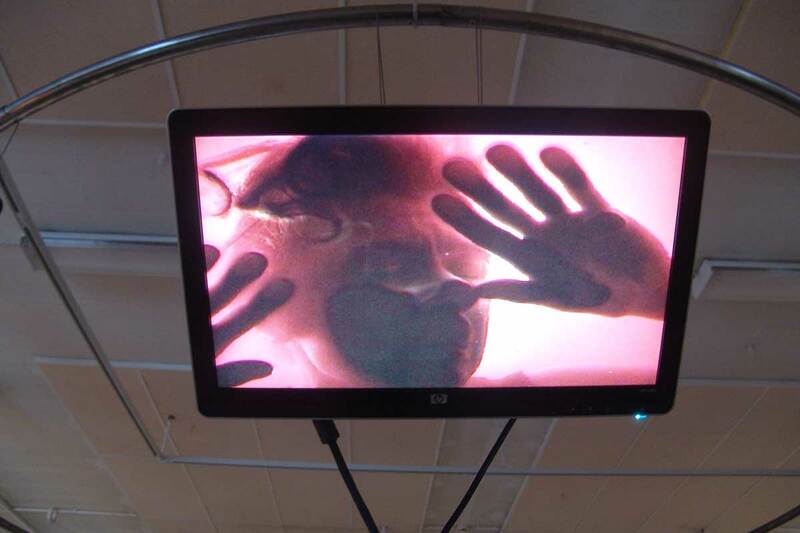 “You and me forever, kiss me goodbye” yet again proved popular as we encourage people to climb and interact with the piece. 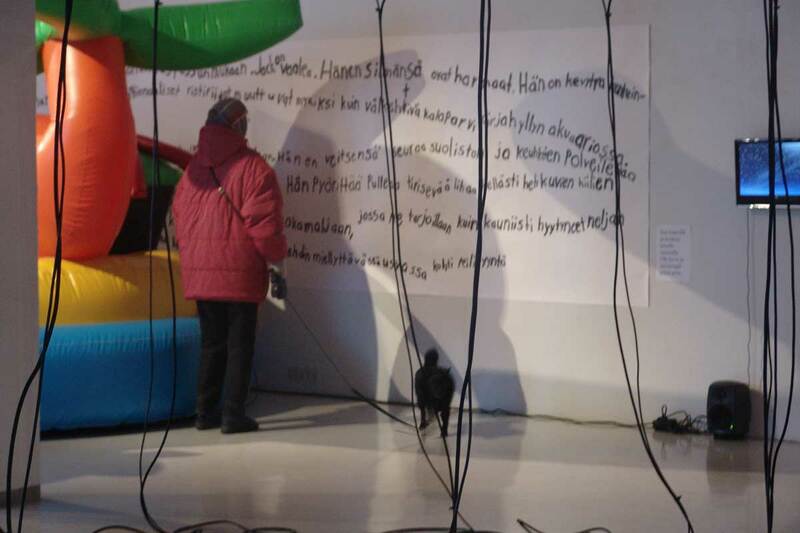 This time the text was hand written on a large sheet of paper which worked very well, providing a nice contrast with the inflatable sculpture. 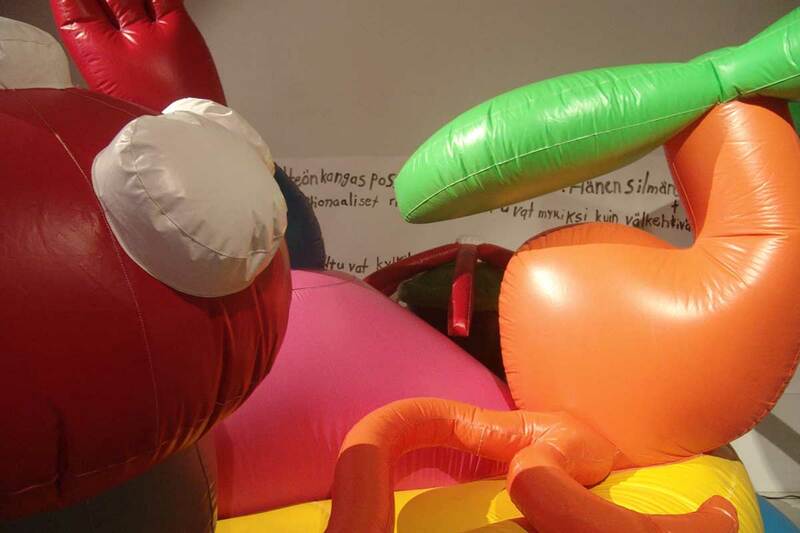 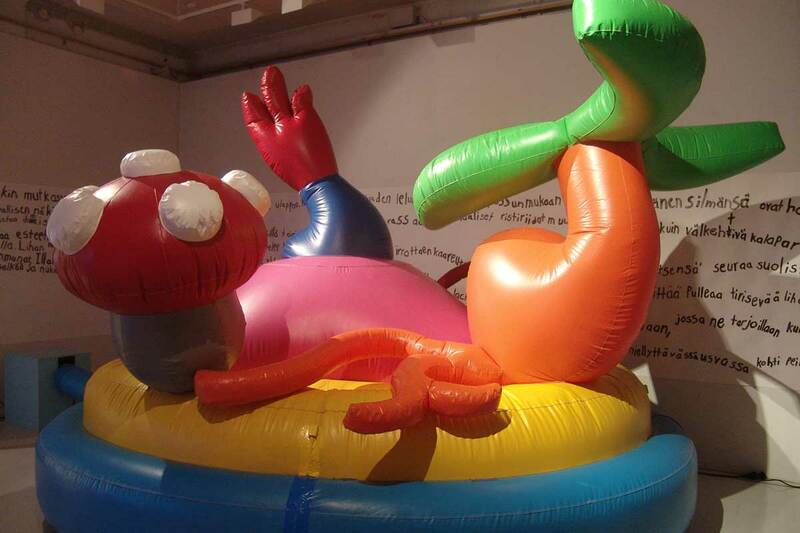 “Skinny Dipping” (5 latex inflatable sculptures) worked well in its own space at the end of the gallery. 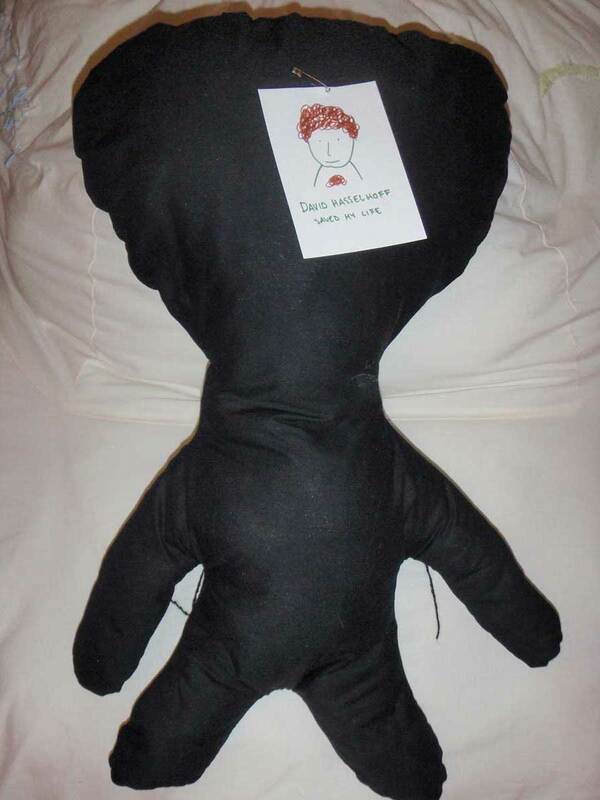 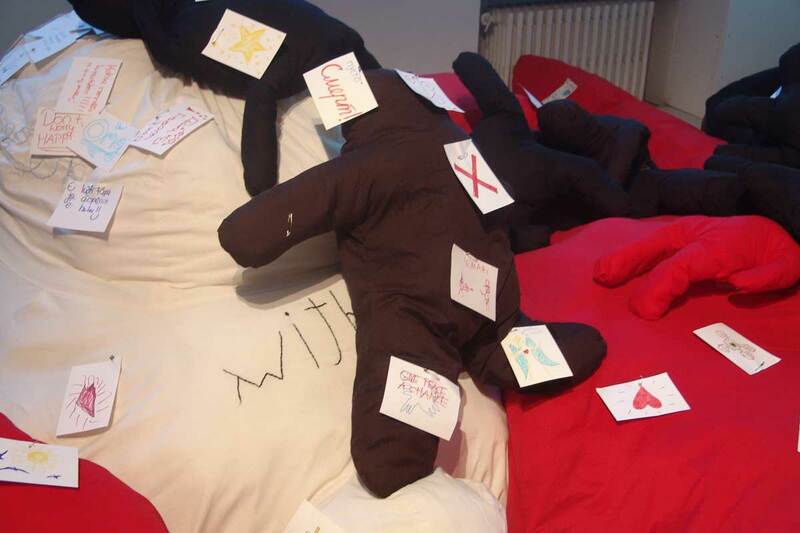 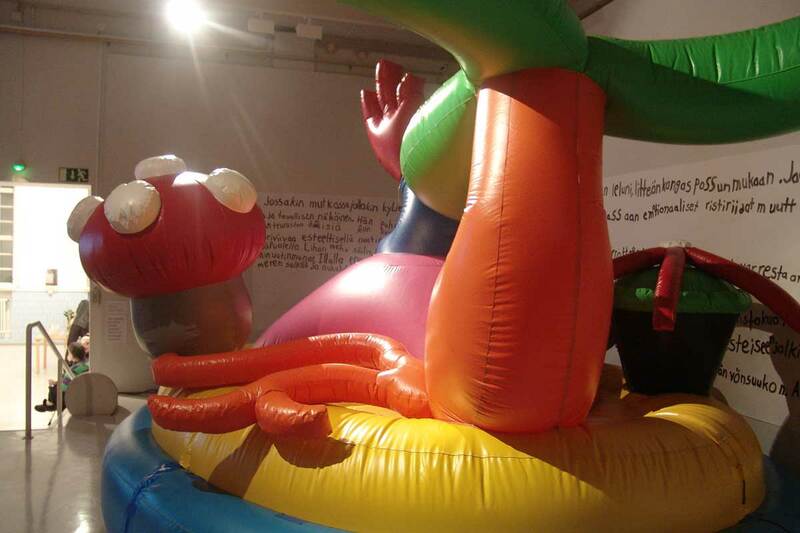 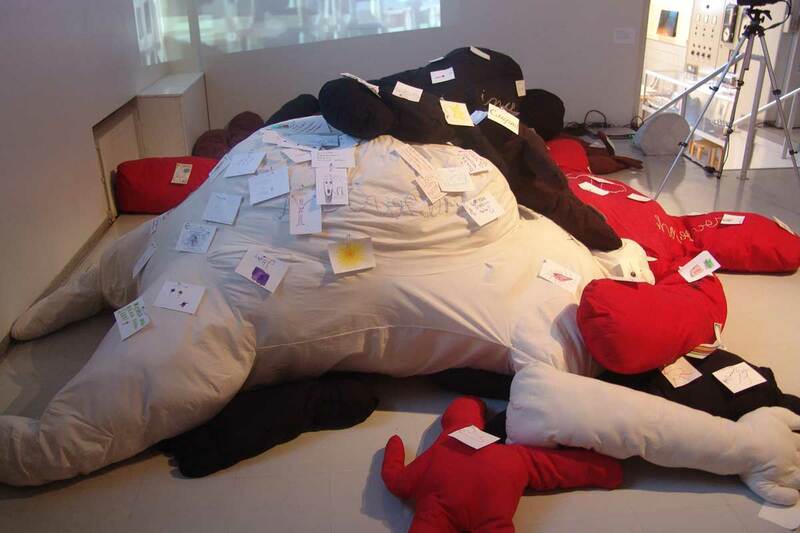 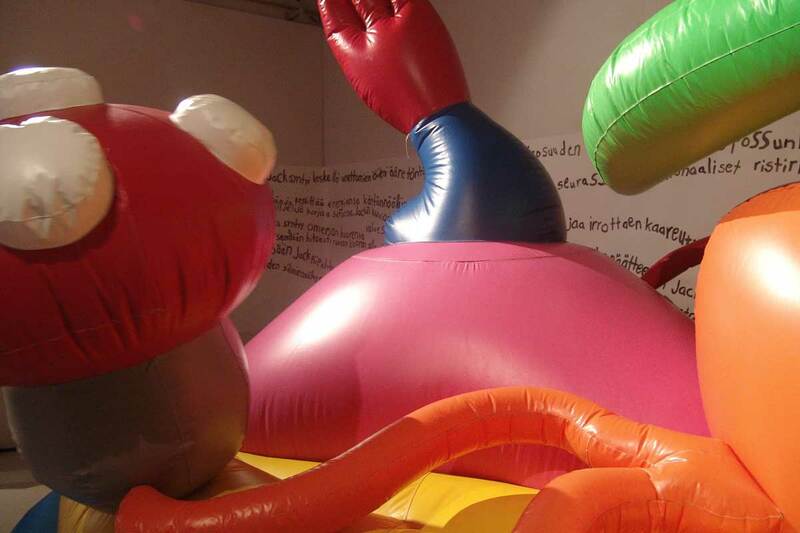 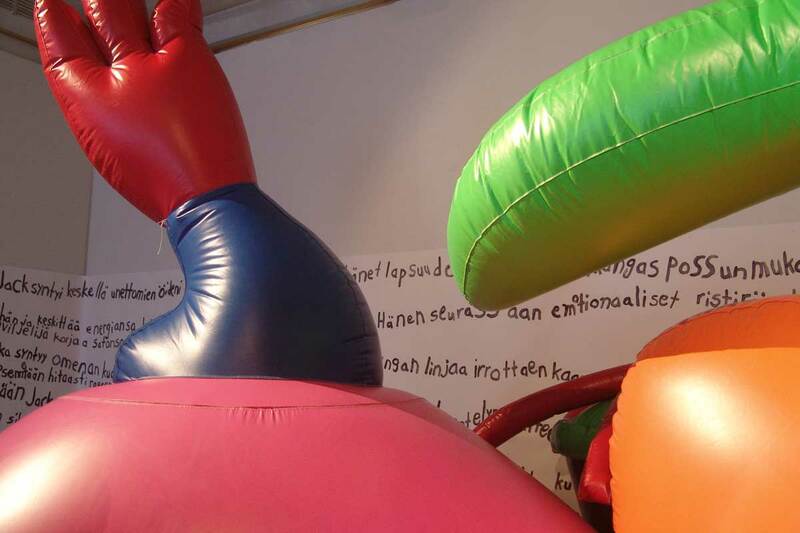 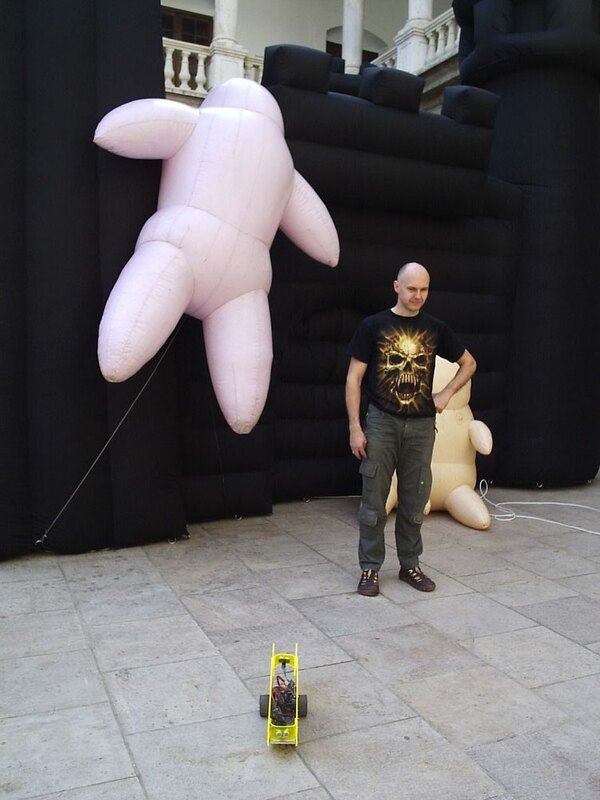 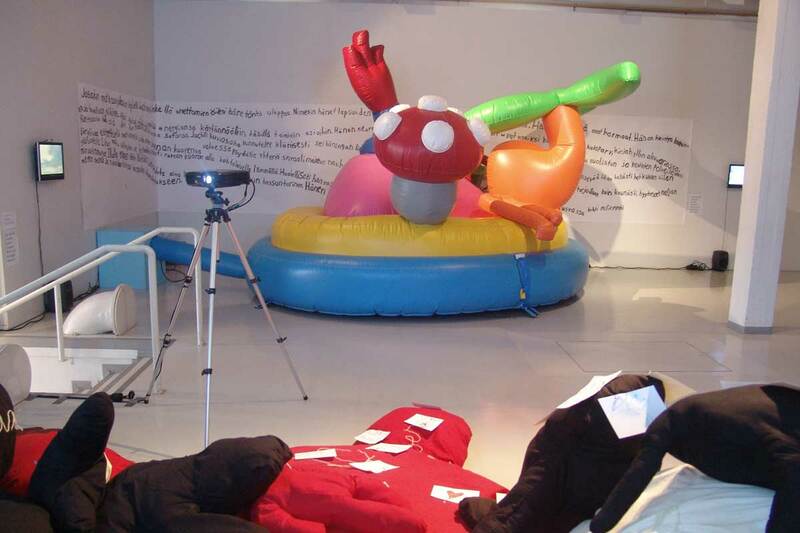 With the new work we tried to draw attention to the human cost of the Arab Spring uprisings, allowing gallery visitors to add their own texts and images to the giant dolls lying on the floor in a heap. 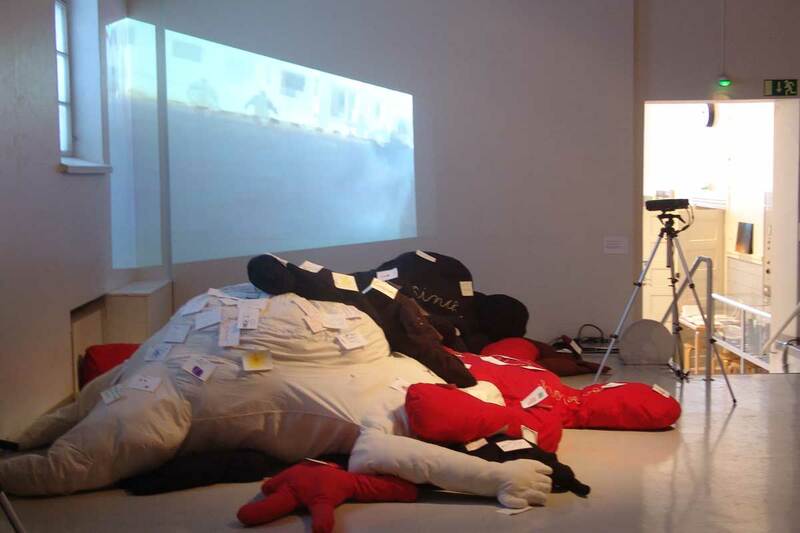 Behind the dolls was projected rough video clips of the violence.